Are You Struggling to Keep your Property Vacancy Rates Low? You need an award-winning industry leader with more than 25+ years of experience keeping tenants happy and units occupied. We provide best in class support to you and your tenants and that includes financial services, timely maintenance and professional administrative support. Milton is a rapidly growing community and a vital region within the GTA. Over the next couple of decades the city is expected to double in size and experience even more growth. As more and more people continue to move into the area, the demand for suitable housing will continue to rise. By 2016, the city’s population had soared to 110,128 residents and it is estimated that by 2031 there will be as many as 228,000 people living in Milton. With the rising population, opportunities to invest in residential and commercial real estate will also grow. In such a fast-growing area, having a good property management company to protect your property investment is critical. ICC® Property Management Ltd. provides the best condo management in Milton, Ontario, with the essential services upon which condo boards and unit owners depend. Our array of experience empowers us to manage properties ranging from large high rise buildings to smaller townhome complexes. Our founder, Steven Christodoulou, has developed a hands-on approach to ensure excellent service for all clients, from large multi-property ownership structures to small single-owner properties. Your condo, commercial, residential or rental property deserves a residents-first approach. Fortunately, ICC® Property Management is known for providing the highest quality of service to ensure that your residents are comfortable and your vacancy rates remain low. We will tailor our services to support you in the areas where you need us the most. We recognize that every property is unique and with specific needs. Our condo management services have received high satisfaction ratings among condo occupants, and we know how to keep residents happy while simultaneously meeting the obligations of the building’s board of directors – while always paying attention to cost-effectiveness. Maintenance, housekeeping and upkeep is an absolute must for a building to operate successfully. We employ skilled maintenance workers who will keep your property looking fresh and current. ICC® believes in maintaining homes and businesses so that they always appear attractive, increasing property values and making spaces comfortable for those who inhabit them. We provide 24-7 support via our emergency hotline. ICC® knows that an emergency can strike at any time and residents need to know who to call to rely on for support when the unexpected happens. We provide a place where residents can get the help they need when they require it the most to further ensure the safety of your structure and everyone inside of it. Your property’s success demands that your finances are managed properly. ICC® can provide you with high-quality financial services including the management of contractors and payroll, rent collection, and banking functions such as branch deposits. We understand that any successful Milton property management company has to pay attention to all of the most important details – and nothing is more important than making sure your books balance. Property management in Milton, Ontario is unparalleled when ICC® is on the job and our core values make it clear why. We believe in integrity, transparency, and the importance of full compliance with the rules, regulations, and legislation that governs our industry. 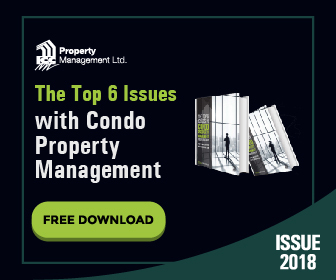 Staying up to date on any changes that are made and continuing to educate ourselves on everything relevant to our industry helps us to remain a top property management company. If you are looking for a reputable Milton property management company ICC® is the dedicated team that you should turn to for all of your property management needs. Contact us to learn how we can help you get the most out of your real estate investments. ICC® ’s skilled team is able to provide the best condo property management, maintaining and preserving the quality of buildings and grounds within each community and providing comprehensive financial and administrative services. Commercial property management presents its own set of challenges and requirements. Cost control and tenant services are key in attracting and retaining long-term occupants. When it comes to residential and rental property management, customizable services are important for controlling costs and enhancing revenue as well as services that takes the hassle out of being a landlord while caring diligently for residents and keeping them satisfied. Outstanding Townhouse Property Management solutions provided by ICC® are designed to take complete day-to-day administrative, financial, and maintenance care of your residential real estate portfolio in order to ensure that your property retains its value for multiple years to come.